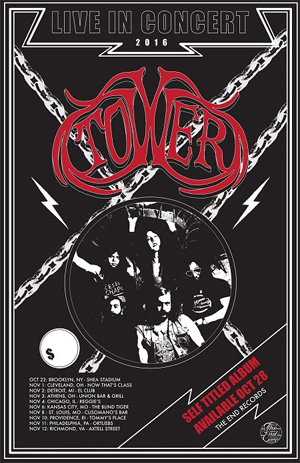 New York City's TOWER are hitting the road for a U.S. run of shows in support of their self-titled debut album, Tower, out October 28 via The End Records. The tour begins with an album release show in their home borough of Brooklyn on October 22, followed by a busy November of high-voltage stage shows. Details are below.